1Must use an authorized lender for Gateway Chevrolet. Gateway Chevrolet will match down payment up to $1000 in the form of discount off the MSRP of all qualifying new vehicles. see dealer for additional details. 2customer must own and trade their 2012 or newer car,truck,suv or van. This is a pure dealer discount. See dealer for details. not valid with certain factory purchase programs. 3Not available with special finance or lease offers. Take delivery by 04-30-2019. 4Offers listed are available to the public on select models. All pricing is on in-stock units only. Some may not be compatible with pricing or financing programs or certain packages. Pricing is after ALL available factory incentives. Discounts from MSRP. Internet price for purchase only not applicable on lease offers. Computer errors, typos, erroneous quotes by sales personnel, duplication of factory incentives or discount programs are void and invalid. Pricing or programs may change without notice. Please contact dealer or read lower page disclaimer for more information. Prices + $976 Value Protection dealer add s, $229 VTR, TT,L AND $495.00 DOC FEE. 5Excludes base models. Monthly payment is $16.67 for every $1,000 you finance. Example down payment: 19.9%. Must finance with GM Financial. Some customers may not qualify. Not available with lease and some other offers. Take new retail delivery by 4/30/2019. See dealer for details. 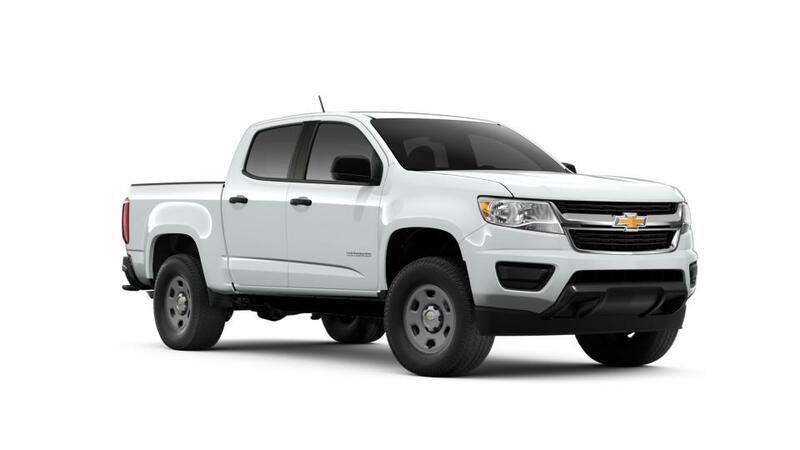 Searching for a new 2019 Chevrolet Colorado vehicle or any other Chevrolet model near Avondale or Phoenix? Visit us at Gateway Chevrolet. We're Avondale's top Chevy dealership, providing a huge inventory of new and used vehicles for sale. When you stop by our dealership, you can count on our helpful and friendly sales associates to walk you through the details of the best car, truck or SUV for you. To complete the car-buying process, we also have auto finance associates on site to help you determine the best options for purchasing your vehicle. So, don’t waste another moment. Schedule a test drive today!